SALT LAKE CITY (KSTU) — It's a simple assignment that's getting a failing grade from parents. "This one blew me out of the water. I couldn't believe some of the questions and guidelines. The whole premise of the assignment was ridiculous," said Jenn Oxborrow, who has an 11th-grade daughter at Highland High School in Salt Lake City. "She sent me a picture of it immediately when she got it and said 'I'm pretty frustrated with this. I'm upset. I think it's unfair and I'm worried about some of my classmates that might not identify with traditional gender roles'," said Jenn Oxborrow, a parent of one of the students. 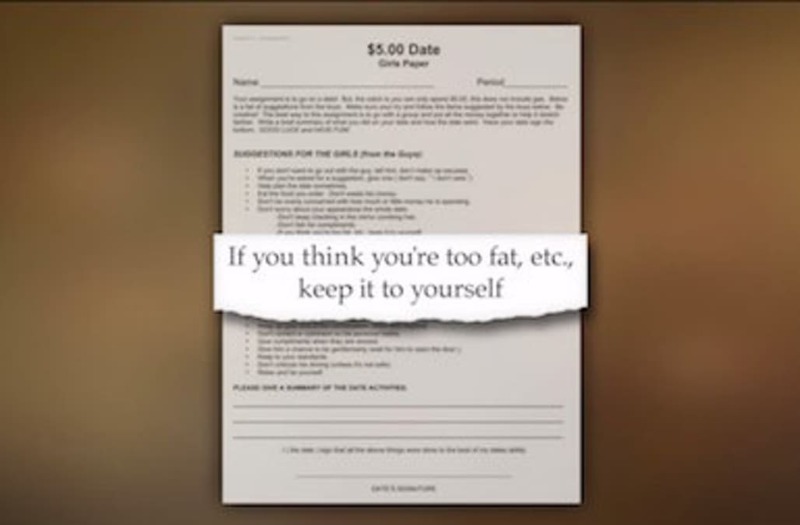 A Utah mother says she could not believe the questions and guidelines for an assignment given to her daughter in a required high school class. "It went too far. You shouldn't comment on his behaviors? But what if you need to? What if the behaviors are inappropriate?" Oxborrow said. "We found it, we have deleted it from the website and are looking into how it got in there so we don't repeat the same mistake again," said Mark Peterson, Public Relations Director, Utah State Board of Education. "We really don't have business whether or not boys and girls should be kissing on a date in a financial literacy class," Peterson said. "We're a state that has such a high rate of teen suicide and so many issues in regards to gender identity can cause depression for teenagers. I was really sad once I thought about it," Oxborrow said.